I think I have mentioned it in the past, over here, in this blog, as well how, inside of the company I work for, we do have this rather special Community of Community Managers / Facilitators / Leaders that over the course of 10 years it’s become one of those essential resources available out there to all of those fellow IBM community facilitators (That’s my preferred term, so from now onwards I’ll stick around with that one…), and to whoever else internally who may be interested, in general, in the topic of (online) communities, as a hang out place where they could share stories, experiences, their know-how, good practices, facilitation materials, community building techniques, etc. etc. in order to help and support one another facilitating their own communities much more effectively. And so far the model seems to have been working really well, specially nowadays when online communities seem to be more popular and resourceful than ever! The fact that the community has been running for over 10 years is probably a good indication as well of how important and paramount it’s become for IBM’s community facilitators out there. It’s had a couple of dormant stages in the past, but all along it’s been thriving with a bunch of passionate community builders who want to increase the overall involvement and engagement from their own communities members. Yes, that’s right! That’s the name of the community: CommunityBuilders. One of the various different activities that we organise for this specific community is actually monthly general education events around the topic of community building, more than anything else to help them keep up with the fast and rampant pace that online communities are growing under, further on, at the moment. I am one of the co-leaders of the community, along with a couple of other folks, and we are always looking for rather interesting and noteworthy education events that these community builders could benefit from, whether with internal or external speakers. In August we had the great pleasure, and true honour, of having with us Steve Dale, who spent a bit over one hour with us talking about How to Build and Sustain Online Communities; session which, if you would remember, I blogged about over here, in case you would want to refer to it back again. Well, for September we had another couple of external guest speakers, two of my favourite people in online community management; Rachel Happe and Jim Storer, co-founders of The Community Roundtable initiative. 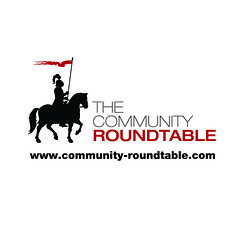 If you are already familiar with the fine work The Community Roundtable folks have been doing over the course of the last few months around successfully facilitating online communities and sharing plenty of those good practices, there is probably very little introduction that I need to do. However, if you haven’t heard about them, and you are facilitating an online community yourself, I can strongly encourage you all folks to check this superb blog post that Rachel herself shared a little while ago under the heading “The Community Maturity Model“, which comes to talk about perhaps one of the more comprehensive and resourceful maturity models that may exist for (online) communities out there. It surely is worth while a read! So, like I said, back in September, we had both Rachel and Jim with us for about an hour sharing plenty of great insights on a piece of work they have done just recently which I think would also be worthwhile going through it over here as well. Now, Jim helped out facilitating, along with a couple of us, the backchannel that we had in place for this event, while Rachel was taking it away and delivering a rather inspiring presentation on the topic of “The State of Community Management 2010“. And now we have got both the presentation materials as well as the recording of the event readily available to share it with you all. That’s right, both Rachel and Jim have been kind enough to allow us to share with you folks out there both the presentation materials that she used, which are slightly different than the ones she has got available over at her Slideshare space under the same title, as well as the audio and video recording of the session. And I am thinking that after that introduction shared above, I better speed up, go ahead and share with you folks the details of where you could go and download the materials, so you can dive into them right away! View more presentations from Rachel Happe. As you may have noticed already, the presentation was all about the Community Roundtable Maturity Model covering the following areas: ﻿Strategy, Leadership, Culture, Community Management, Content & Programming, Policies & Governance, Metrics & Measurement and Tools, sharing a bunch of good practices on successful community facilitation for each and everyone of those characteristics. Like I said, whether you are new to facilitating online communities or whether you are a seasoned community facilitator yourself, or whether you are just interested in online communities in general, I can guarantee you there will be something out there for you that you would learn by the end of the presentation itself. I am sure. If you have a little bit over one hour you could spare here and there and would want learn more about how online communities are *the* major drivers of adoption for social software within the enterprise, amongst several other things, I can certainly encourage you all to download the materials and dive right in! You will enjoy them! From here onwards, I just want to take this opportunity to share across a special thanks!! with both Rachel and Jim, for spending some time with us, CommunityBuilders, and for sharing plenty of those great insights and good practices on what it is like being a successful community facilitator. Thanks ever so much, folks! We had a blast and I surely hope to have you guys as our guests in the near future once again! Thank you for having us in to talk to IBM Community Builders – it was our pleasure – and thank you for the kind words here as well as recording the session for others! Hi Rachel! Thanks a bunch for dropping by and for the prompt response! WOW! hehe The pleasure was all ours! It took me a little while to come around the recording and everything, but glad it came out all right eventually. Take care and will speak to you soon! I’m looking forward to hearing the presentation. Alas, the links to the PDF and the Recording yield only an error message: “Not shared with you”. Hi Christoph! Thanks ever so much for spotting that out and for sharing those details along! I have just checked out both files and it looks like, indeed, the files went back to “private”, when they shouldn’t have!! Grrr I have now corrected that immediately and can see how the files are now displaying publicly, so you could have a look and download them with no problems. That was quick. Thanks, Luis. Pingback: E L S U A ~ A KM Blog Thinking Outside The Inbox by Luis Suarez » Community Management Fundamentals – Where Do I Start?